Harry Bunce’s art is hard to pigeonhole; light in some cases but also deep and slightly unnerving in others, he lets his characters do the talking. 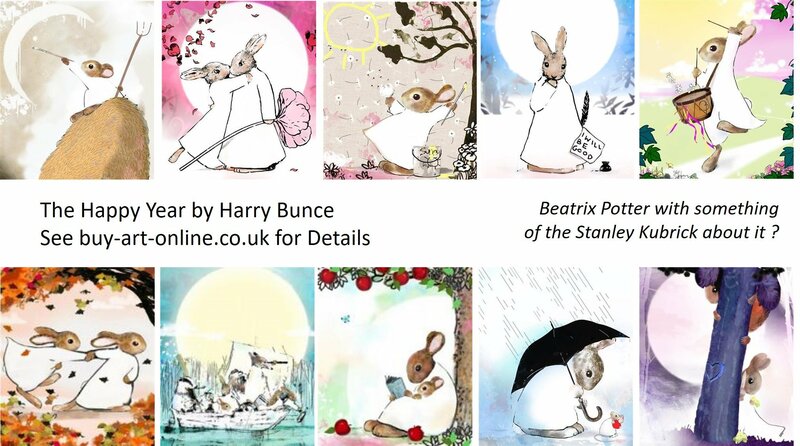 While Harry’s current Happy Year series has been compared to the work of Beatrix Potter much of his work retains an edge. Beatrix Potter maybe, but with something of the Stanley Kubrick about it ? The Happy Year Collection is a monthly series of hand embellished mixed media prints under resin in edition sizes limited to the number of days in the month. This entry was posted in Harry Bunce, Limited Edition and tagged featured by Buy Art Online. Bookmark the permalink.